Sidney Robert Buchman was born on March 27, 1902, in Duluth. His parents were Robert Buchman and Sarah (Zalk) Buchman. Robert was born in Russia in 1874, immigrated to the U.S., and settled in Duluth around 1895. He worked as a clothing merchant and for a while owned his own store, Buchman and Josephs, at 116 West Superior Street. On February 20, 1898, he married Sarah Zalk in a wedding ceremony in the large second-floor hall in the Kalamazoo Building at 18 West Superior Street in Duluth. As the Duluth News Tribune related the next day, “seldom if ever before in the history of Duluth has there been a larger attendance at a Jewish wedding.” Mayor Truelsen was one of the 200 guests and gave a speech congratulating the new couple. Sarah Zalk was the daughter of Max Zalk, who was born in Poland and moved to Duluth in 1884. He was president of the Duluth Iron & Metal Co.
Robert and Sarah lived at 502 East First Street, later moving for a while to Superior, Wisconsin, and then back to Duluth in homes at 421 First Avenue West, 120 East Fourth Street, and finally building their own brick home at 110 West Fifth Street. Robert continued to work in retail clothing sales but eventually took a job in his father-in-law’s metal business. They had four children: Moses, Sidney, Marian, and Harold. Sidney Buchman apparently had a typical childhood and earned money with a paper route in the Central Hillside. He later complimented the area, saying that he hadn’t realized that he had “grown up in one of the real melting pots of the world” that demonstrated “complete race harmony.” Buchman was a popular and successful student at Central High School. He was active as an athlete, participating on the football and track teams and serving as captain of the basketball team in his senior year. He also was sports editor of the school newspaper and business manager of the senior class play, and he won the Wallace Cup for oratory in his junior year. Buchman graduated from Central in 1919 and was chosen to be a commencement speaker. From high school, Buchman went on to the University of Minnesota, enrolling in the pre-med program. He left the Twin Cities after a year of studies, however. His parents and siblings moved to New York City in October of 1919, and Buchman moved there in 1920, enrolling at Columbia University where he later received his degree. After graduating, Buchman traveled to England in February of 1924 to study at Oxford. He left Oxford after a few weeks, later referring to the rigid caste system of the English university. He traveled for a while in France and Italy, worked at the Old Vic Theatre in London, and then returned to New York City. For the next eight years he worked as a playwright in New York and had two plays produced—This One Man and Storm Song. 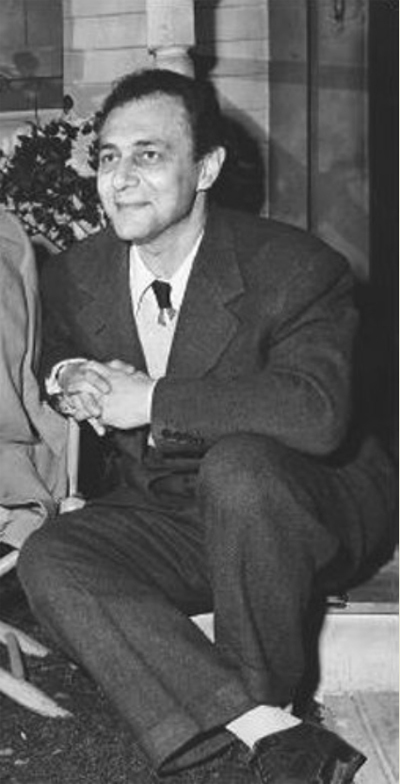 Buchman went to Hollywood in 1931 when he was hired as a junior writer for Paramount. His first project was Cecil B. DeMille’s Sign of the Cross (1932). His most successful scripts were for She Married Her Boss (1935), Theodora Goes Wild (1936), Mr. Smith Goes to Washington (1939), and Here Comes Mr. Jordan (1941). In 1942 he was production supervisor at Columbia Pictures, and he eventually became vice-president of production. Buchman returned to Duluth for visits several times, most notably on February 1, 1950, when he was honored on “Sidney Buchman Day.” Festivities included a speech to the Chamber of Commerce, a convocation at Duluth Central High School, a reception and dinner at the Athletic Club, and a first day’s showing of Buchman’s latest film, Jolson Sings Again, at the Granada Theater. In his speech to the Chamber, according to the Duluth News Tribune, Buchman predicted that “in perhaps a quarter-century, the finest films will be available for a dime or a quarter to persons in their own living rooms. They will need only to call the telephone operator to switch on a certain television channel on which the film is being carried.” At the Central convocation, Buchman expressed special thanks to his English teacher, Miss Mira Southworth. In September of 1951, Buchman was called to testify before the House Un-American Activities Committee where he admitted to having belonged to the Communist Party from 1938 until 1945, but he refused to give names of people who had been present at meetings he had attended. In January 1952, he failed to appear before the committee when subpoenaed, and in February the House of Representatives voted 314–0 to cite him for contempt. On March 13, 1953, he was found guilty of contempt of Congress in U.S. District Court and eventually was fined $150. Buchman was blacklisted in Hollywood and moved to Europe, later settling in Cannes, France. He was hired by 20th Century-Fox in the 1960s to produce films in Europe. He died in Cannes on August 23, 1975.